28 Jun 2014: Iraq is in war with itself. It is a divided house. A house divided against self cannot stand. Iraq will fall. The burning precedes the fall. As it burns, world feels the heat. India cannot escape its share. Iraq is in our neighbourhood. It is in a region of great strategic importance to us in safeguarding our long-term national interests. • Forty Indians are in ISIS captivity. One of escapes, 16 others evacuated; Modi reviews security situation. • Indian nurses in ISIS-held territory of north Iraq are not paid their salaries but they do not want to return home. • Around 25,000 Indian Shias have volunteered to travel to Iraq to defend the Shia government in Baghdad. • Indian troops for Iraq? Won’t speculate, Union Defence Minister ArunJaitley says. Adam and Eve may have been Iraqi. 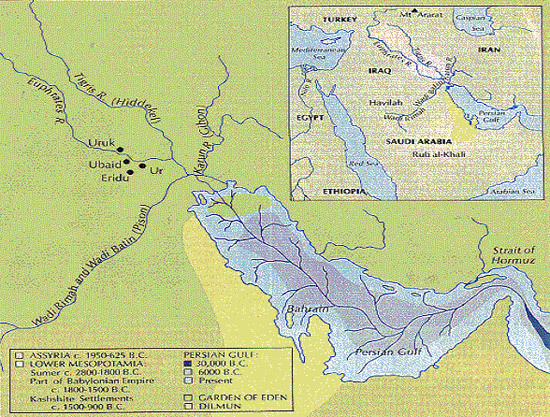 Abraham may have begun his journey from biblical Iraq to The Promised Land. A biblical king named Nimrod founded Babel (Babylon). Tower of Babel, remember? God was so scared of human progress; he made them speak a thousand tongues. In Iraq, they have been pushing His wicked plan. Today, In the name of Allah, guns and bombs are doing the talking. The noise is drowning out voices of reason. Media correspondents are risking their lives in cataloguing the tragic events. Some of them argue that Iraq was better off under the ill-fated dictator. Till Saddam Hussein was overthrown by US-led coalition forces in March 2003, the Iraqi Arab Baathist had ruled Iraqas a police state. Everyone submitted to fear and lived in a stable and peaceful society as long as they kept out of trouble with the state and its minions. Saddam’s iron-grip rule lasted for thirty years. HisArab Baathist Party was socialist and secular in nature;in Iraq,it was Sunni dominated. It ruthlessly crushed domestic opposition by Shia and Kurd dominated political parties and established one-party authoritarian state by end of seventies. Peace, stability and rule of law prevailed: Baathist law and Saddam clan’s adjudication. Then Saddam went to war with Shia Iran in 1980. 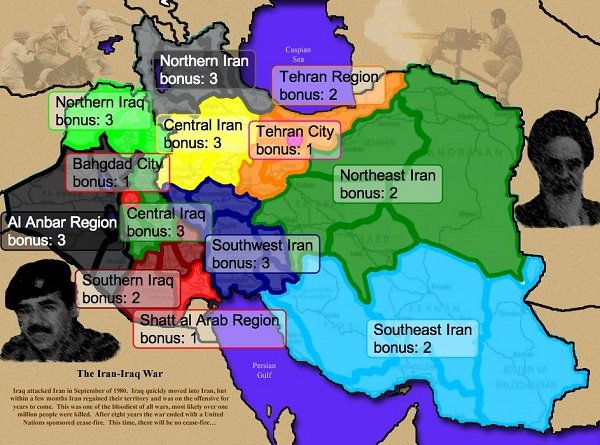 Islamic Republic of Iran had only then born out of 1979 Iranian Revolution. It was struggling to crush internal enemies of Islamic revolution. It was politically weak and internally bleeding. It was also isolated internationally due to its conflict with US and Soviet Union. Saddam saw an opportunity to emerge as Great Leader of Sunni Islam. As an international pariah, Iran should have fallen quickly. Expecting as much, the hereditary Arab Kings and Emirs bankrolled hundreds of billions of petro-dollars into his war chest. Secular Saddam became a hero for Wahhabi Sunnis. He championed Palestinian Cause and hectored against Israeli Aggression. All, with tacit western and US support. However, Iran endured. Iraq got bogged down in a stalemate. Its finances and economy were in ruins. Saddam had squandered away its oil wealth and indebted the nation earning nicknames like Butcher of Bagdad and Madman. Kuwait refused to go along after ten years and bore Saddam’s wrath. In August 1990, Iraqi Army drove into Kuwait City driving out The Emir and entire native population. Kuwait then was the only Gulf Arab country that had diplomatic relations with Soviet Union and trying to contain US influence in the region. It was also biggest donor to Palestinians Cause and was hosted a large Palestinian expatriate community. The Iraqi misadventure embarrassed both its allies. Kuwait was driven fully into US tent. Kuwait and GCC requested US military intervention to liberate Kuwait. In January 1991, US-led UN-sanctioned Gulf War began which liberated Kuwait of Iraqi occupation. The Iraqi Occupation of Kuwait and the limited Gulf War-1991 left deep scars in the psyche of Arabs and to some extent Muslims all over the world. Saddam, in his reckless act, had damaged global appeal of socialism, secularism and non-aligned movement. The unity among pan-Arab Baath Party affiliates in Egypt, Syria, Libya and associate movements in smaller countries of the region was shattered. What colossal figures like Gamal Abdel Nasser of Egypt had laboured for decades to build tolerant and moderate Islamic citizenry among Arabs was undone by Saddam, the modern day Nebuchadnezzar. The US forces came, conquered and stayed behind. Its military infrastructure including bases expanded in GCC countries, especially in Kingdom of Saudi Arabia, Kuwait, Bahrain and Qatar. 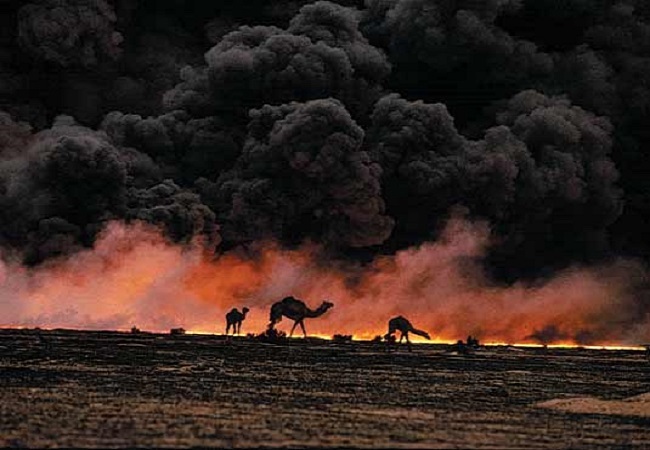 Among the ravages of Gulf War were Kuwaiti oil wells set on fire by Iraqi forces. The man-made environment disaster brought in western technologists and their corporate masters who eventually gained a strangle-hold on OPEC, the cartel that controlled global crude oil trade and its prices. Left-leaning authors, syndicated columnists and their proponents advance the theory that US trapped Iraq into invading Kuwait. They argue that USA and its western allies wanted to loot Arab and Muslim oil. This argument fell on sympathetic ears of politically radicalized Islamic Clergy and their youthful disciples. Among them was Osama Bin Laden, a Saudi millionaire and one of several heirs to a multi-Billion Dollar Construction Conglomerate owned by Laden Family of Saudi Arabia. Osama bin Laden was formally trained by US forces and its military intelligence teams in guerrilla warfare as part of its mission of proxy war against Soviet occupation forces in Afghanistan. His Al-Qaida and other affiliates fought the infidel Soviets and communists in many Muslim countries. They became natural allies and partners in undercover operations by western intelligence agencies in their mission to haemorrhage Soviet Union. The west eventually won the cold war decisively in 1989, making US the sole surviving global super-power. The US-led Gulf War-1991 would not happen in a bi-polar world. The Al-Qaida and like-minded Islamist militia saw an opportunity to fill the vacuum created by socialist retreat. They resented rise of western influence in Arab governance and the resultant boost to market economics. They saw affluence led to societal decadence and loss of religious purity. Misogyny in general and rule by men over women in particular, traditional tribal values advocated by radical Islam, was under threat. 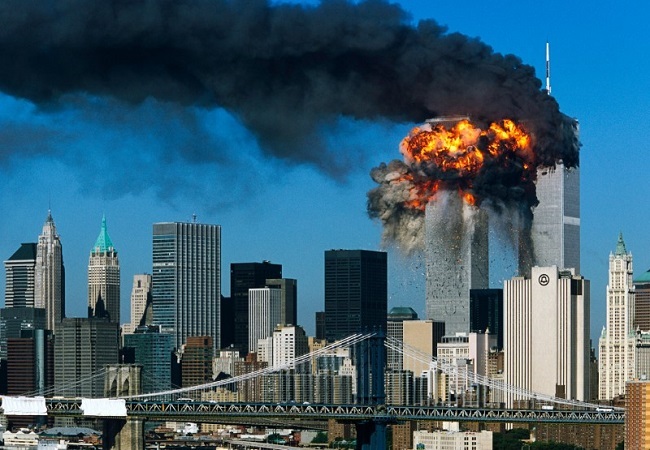 That threat perception brought World Trade Towers in New York on 11 September 2001 in a hot chase and proactive aggression against their new enemy. The die was cast for a jihad against radical Islam by western powers. The word jihad is normally associated by radical Islamist groups to acts of self-defence and legitimate acts of aggression against enemy who intends on killing a fellow Muslim. In popular usage, jihad has become synonymous with terrorist violence. The violence is aimed against government forces, armed groups, even unarmed and innocent populations. No distinction is made between a combatant and a non-combatant. Everyone is a target. The rules of war have been altered irrecoverably. The on-going sectarian conflict in Iraq is a prime example of civil war under those new rules. I welcome your views Dr. Eugene. Most traditionalists seek global policing by USA, which may suit arrogant supremacists in american establishment, but is counterproductive for US interests in the region. Let internal strife emerge among theocratic dictatorships, so that the civilians have a change of heart. Let them choose to abhor theocracy, its political arrogance, intolerance and resulting violence. Until popular rejection does not happen, violent ideologies do not perish. One of the apt examples is rise and fall of Tamil Tigers in Sri-Lanka.. USA must keep away. If they intervene, they give oxygen to ISIS and Taliban. To Editor: it is time to publish the concluding installment of this story which postulates this view of current crisis. Iraq instability is certainly affecting middle east and Asia. Saddam too made mistakes of waging war over Iran and Kuwait, otherwise he had firm grip on trouble makers at boarders and within. History shows Iran was economically sound during Shaw, a moderate face.